Are you struggling to rank your website higher in organic search results? If yes, you'll be surprised to know that many website owners are facing the same issue. The truth is ranking your site in search engine results is really difficult, thanks to the large number competition online. Also, major search engines keep on changing their search algorithms every once in a while. However, you can get away with these issues by turning to a reliable SEO service such as HopInTop. Just check out our white label SEO services reviews and you'll find how happy website owners are after hiring the services of a reliable SEO company like HopInTop. Below are just some of the reasons why clients have chosen us. Many marketers never consider the expertise of an SEO agency, because they believe they can accomplish the task themselves and a majority of these marketers end up with poor rankings in search engines. The truth is optimizing a website for users as well as search engines isn't as easy as it seems. You need to be proficient with the ins and outs of search engine optimization (SEO) tactics. Also, you need to keep updated on latest search algorithms. If you miss out anything, your website will get lost in the cyberspace. Once you fail to show up in search results, your audience won't find your site. If your site isn't found and visited by users, you won't be able to sell your products and services. Consequently, you may have to shutdown your venture online. The good news is it's easy to avert such an undesirable scenario by turning to a white label SEO agency, such as HopInTop. HopInTop has highly qualified SEO experts, who brainstorm high traffic keywords matching your site’s niche and place them at relevant places within your web page. Also, they'll come up with an attention-grabbing title and optimize it with the keyword for better results. Aside from on-page optimization, these experts will employ off-page optimization techniques such as back-links from social sites, marketing forums, and press release sites. They will organize your site content as well as navigation to entice users. 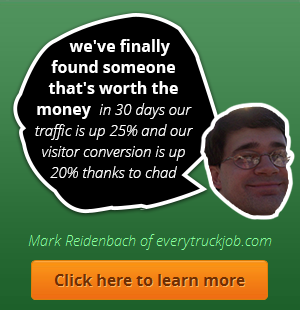 Also, their SEO professionals will embed eye catchy infographcis on your site to engage visitors. All these efforts will increase the ranking of your site in search engines. Once your site comes up in search results for your given keywords, it's most likely to be visited by potential clients. When visitors come to your site, you may motivate them to make a purchase through lucrative offers and competitive pricing, which is your main objective. Driving customers through organic search is almost impossible in this highly competitive online arena. However, you can get through this pressing task by depending on a reliable white label SEO company. Today, businesses that record a huge success online are often those that hire the expertise of an experienced SEO service. On the flip side, businesses that don't hire an SEO company are actually shutting their doors to potential customers. So don't let yourself down. Hire the services of a reputed SEO agency such as www.hopintop.com and insure your success online. 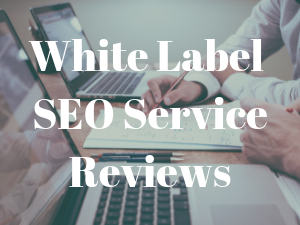 Read about our White Label SEO Services Reviews on our site.